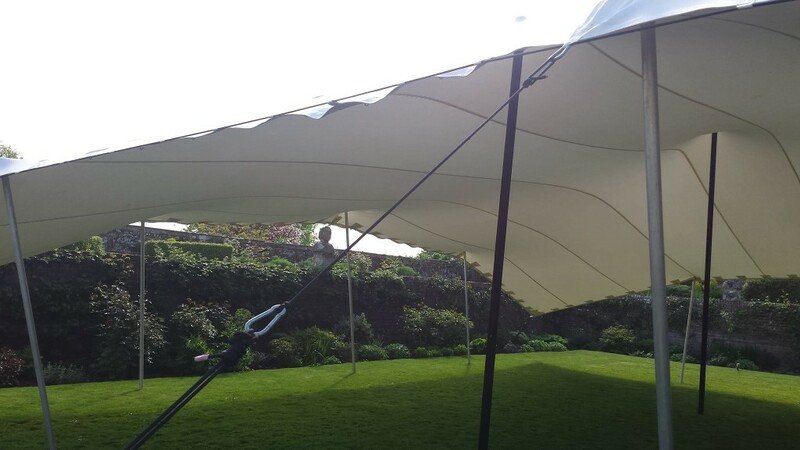 Stretch Tents are quickly becoming a favourite for wedding tents, and we at CGSM love to plan and organise the perfect wedding. 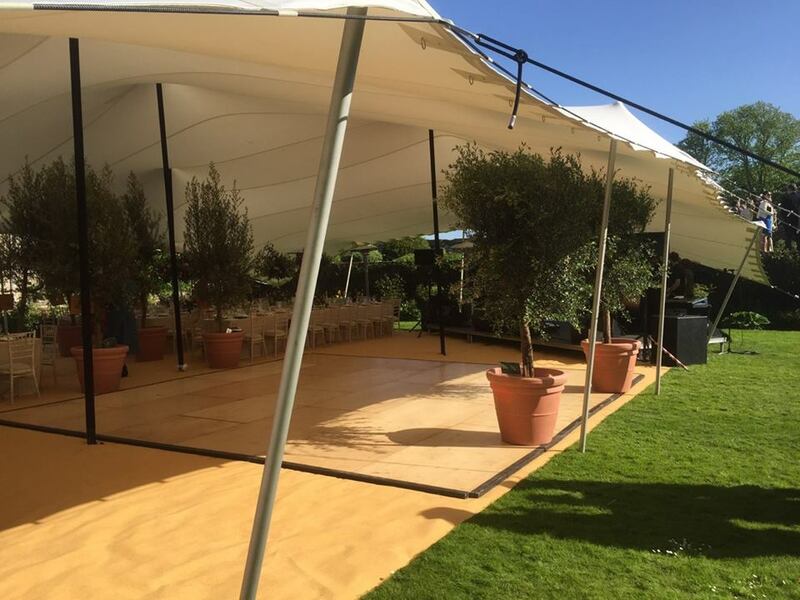 In this wedding case study, we will give you an insight into how we ensure that every wedding suits the needs of the client, and provides the ideal event space for them. 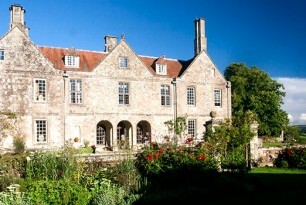 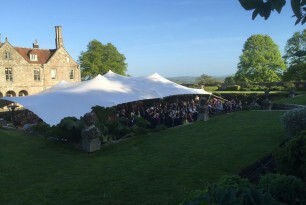 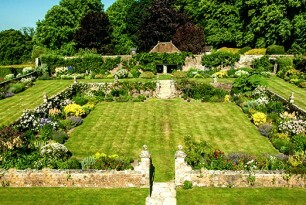 This particular wedding was set in the picturesque 17th century walled gardens of Hatch House in Wiltshire. 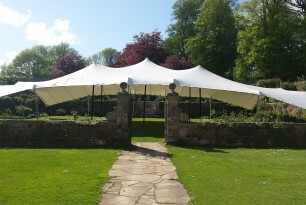 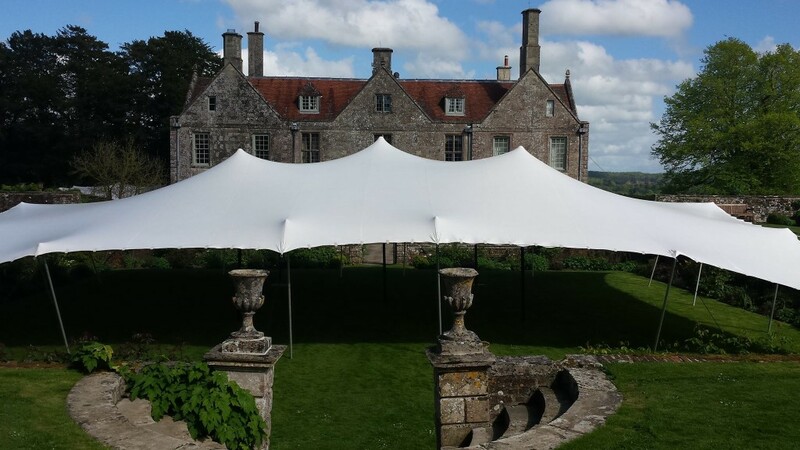 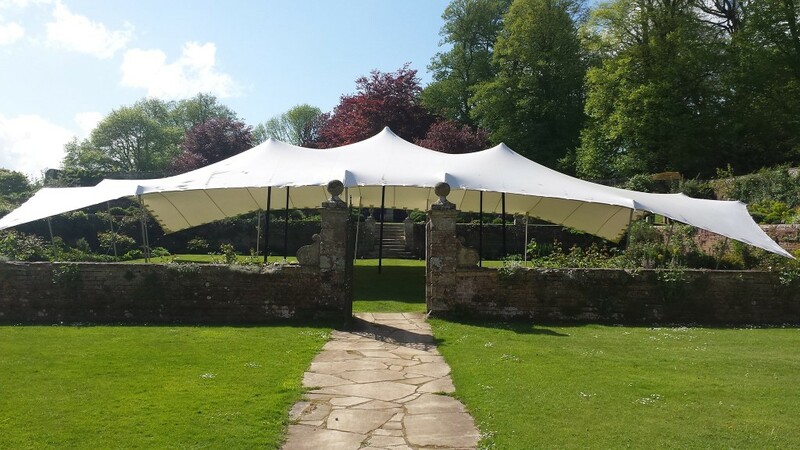 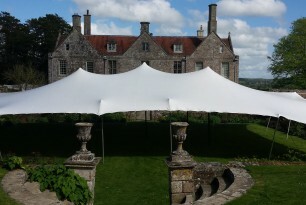 After a site visit, and production meetings with our client we agreed on erecting our white 20m x 15m stretch tent as a canopy, to allow the tent to become part of the gardens. 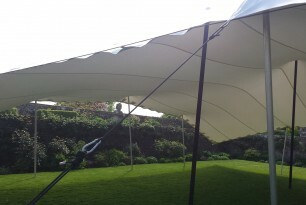 This tent is translucent, so much of the natural light is allowed through the canopy. 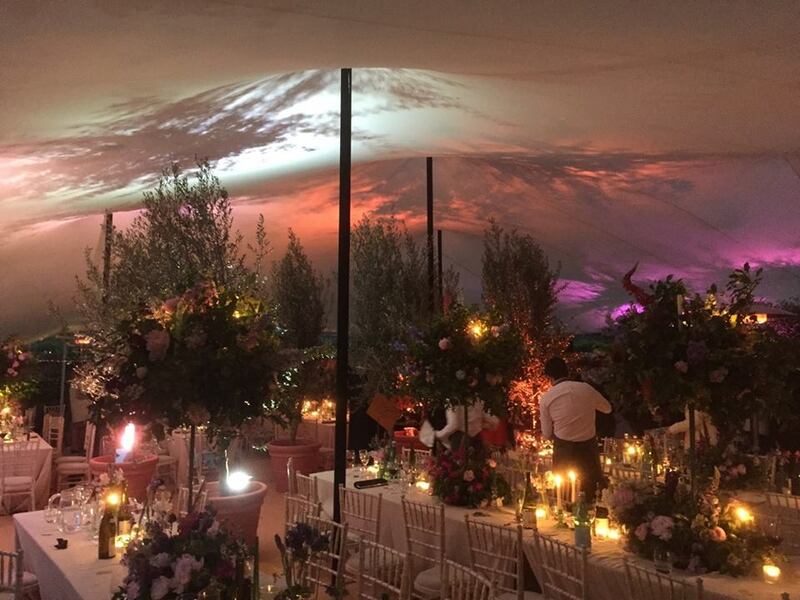 Once we had agreed on a plan, our experienced team created an incredible venue using a light carpet, long tables and a combination of natural and contemporary lighting effects to create an incredible combination of light and shadow. 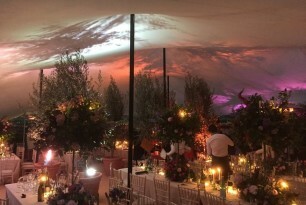 With fairy lights along the edge of the tent, and spike lights in the flower beds, the tent looked incredible both from the inside and from the outside. 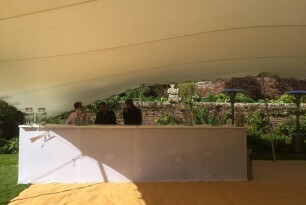 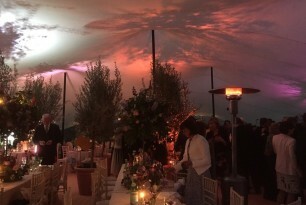 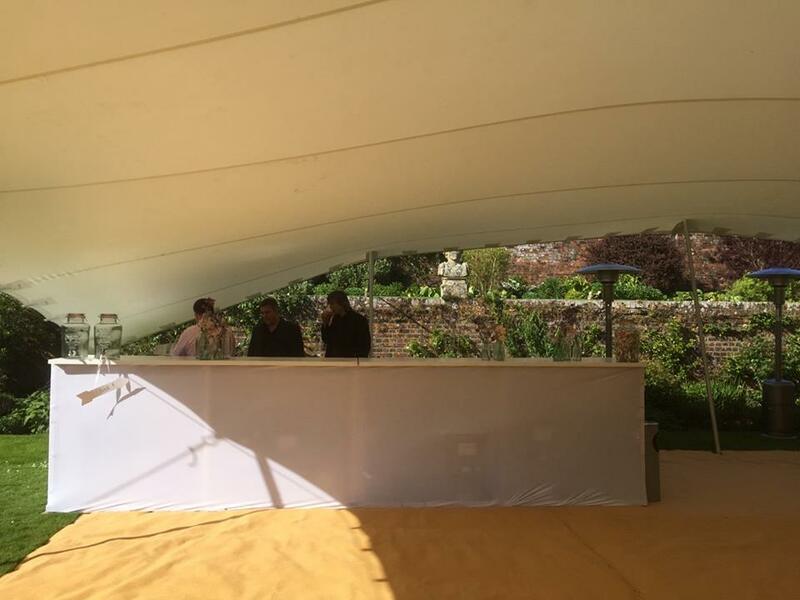 By installing our sprung dance floor, white LED bar, and a stage inside the tent, the party could continue late into the night with a DJ a band and a well-run bar. 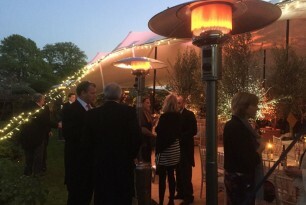 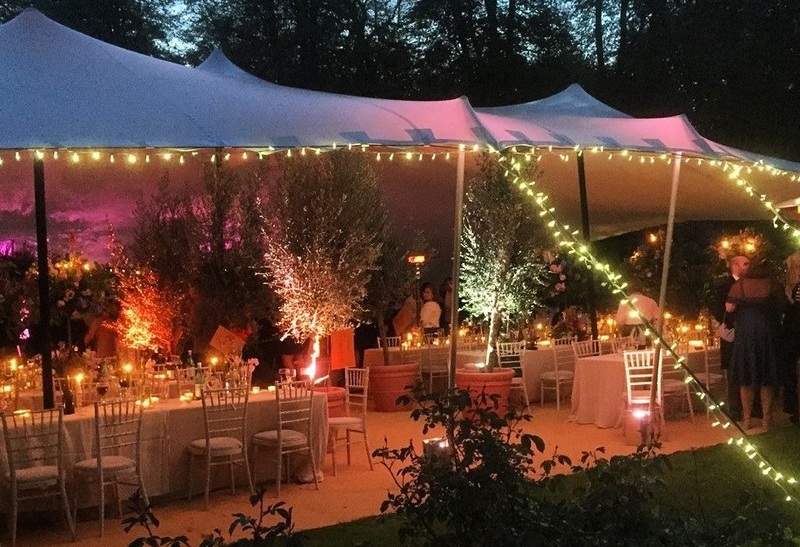 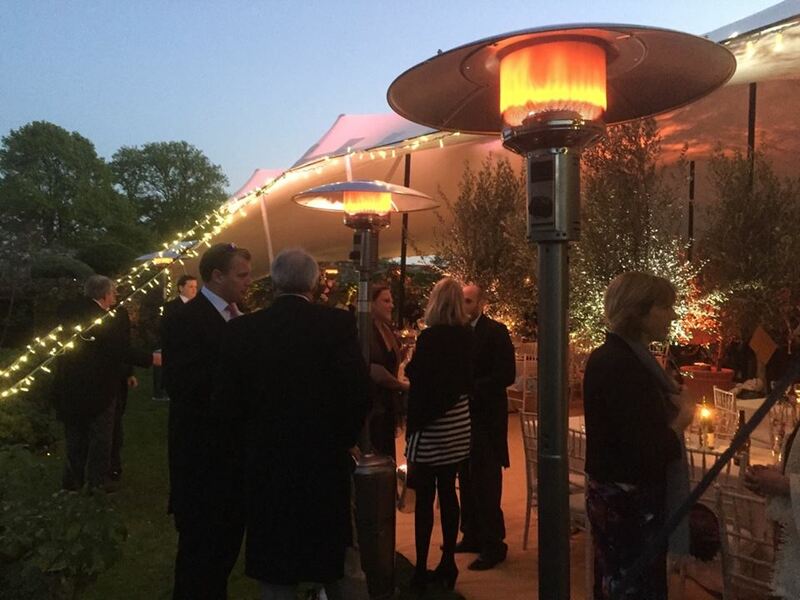 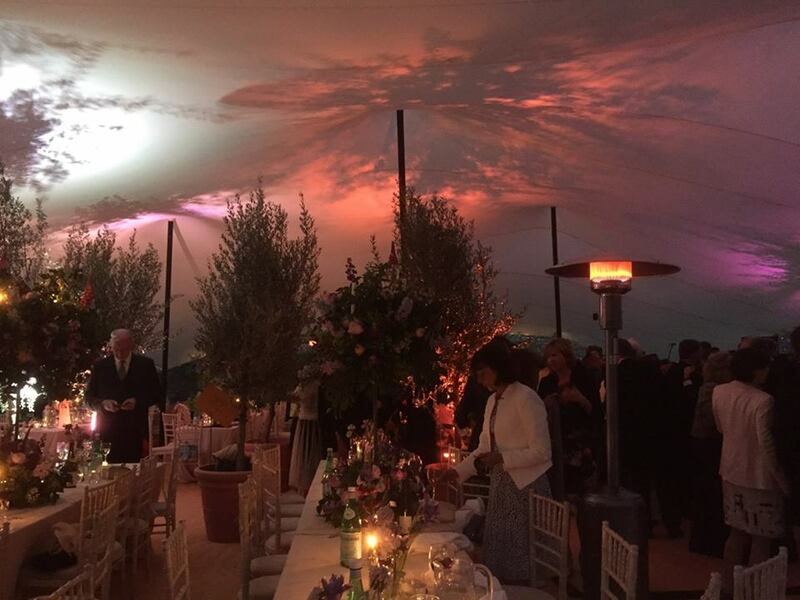 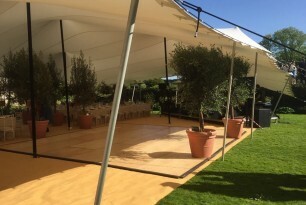 The joy of the stretch tent setups, especially in this setting, allow your surroundings to be incorporated (something that isn’t always possible in a traditional marquee) and ensure that the gorgeous flower beds at Hatch House were highlighted. 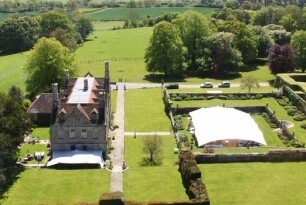 It looked great from all angles, especially from above. 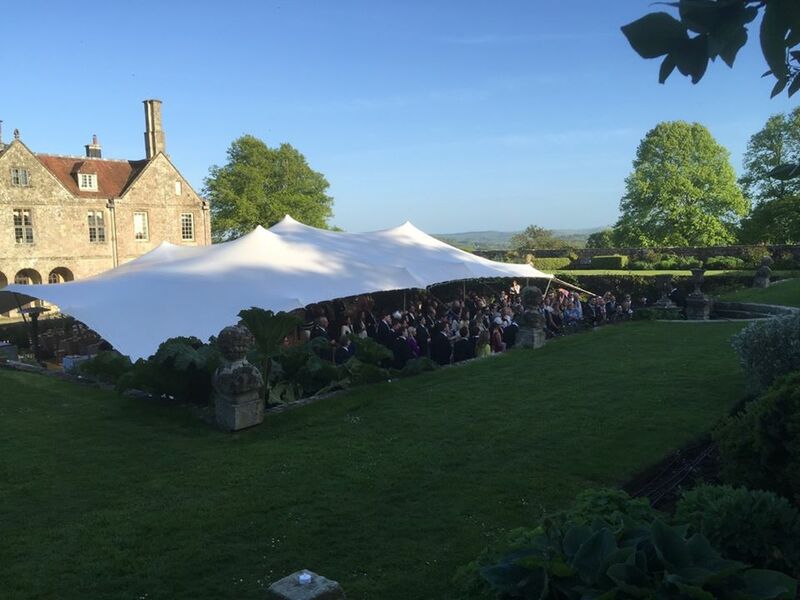 If you are looking for someone to organise and plan your wedding then please get in touch with us via the contact form or give us a call on 07570 361 282.